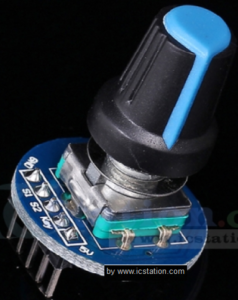 The VCC depend of the producer of the encoder but normally is 5V. Control the relative data sheet. 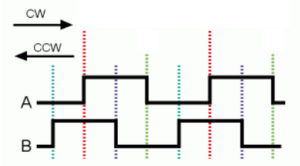 Below is an image showing the waveforms of the A & B channels of an encoder. 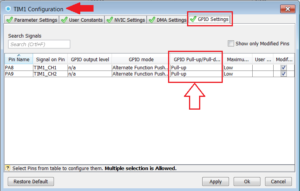 Thanks to the 5V input tolerant, of the GPIOs of the STM32 family, is possible use also the 5V encoder connected directly to STM32 GPIOs. I tested this encoder at 3,3V on NUCLEO boards and it’s work well. 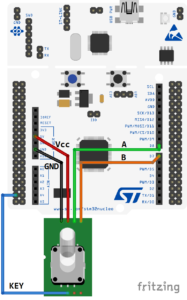 Of course, it’s work well also at 5V connected directly to the STM32 GPIOs. 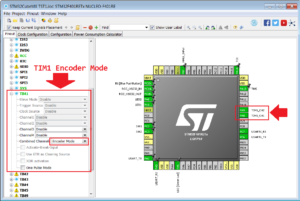 For test this encoder we used the NUCLEO-F401RE and we interface the encoder to the TIM1. Also we use the USART2 to send a messages (PRINTF) to the PC via the emulator USB port. For more info concerning the USART2 and PRINTF see this tutorial. 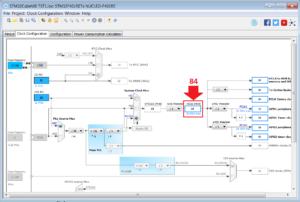 The lines below show the way to read the encoder and how to show it’s value (virtual com via USART2) on the PC. For test this example do the step below. 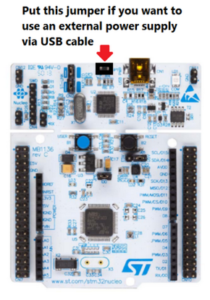 Compile the example that is here and program your NUCLEO-F401RE. 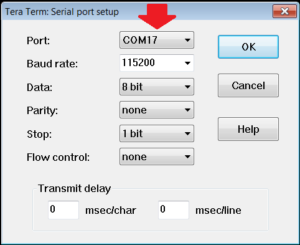 Open a terminal emulator (on PC), we suggest to use on PC the TeraTerm configured as shown below. Choose the right com port. This example is for ATOLLIC, to see how to import this project in your ATOLLIC see this tutorial.